Live an exciting journey entering the jungle on one of our original all-terrain Mercedes Benz Unimog’s. Visit an isolated community of Mayans where your will discover the excitement of swimming in the crystal clear waters of an amazing cenote and snorkeling in a fascinating underground river. Delight in a peaceful bay of the Caribbean, navigate in kayak to a beautiful coral reef where you will snorkel and admire the impressive variety of tropical fish. Your exciting adventure tour starts with a ride in a 4×4 all-terrain vehicle that takes you to our Maya Community, a small Maya family community where the Nohoch Nah Chich Cenote system is located (one of the longest explored underground river systems in the world). 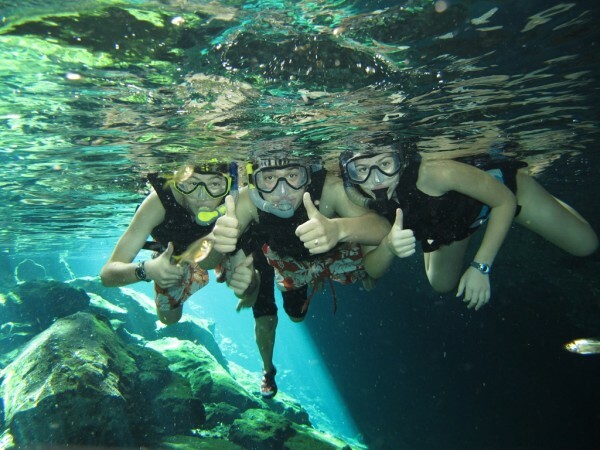 Here you will take part in an unforgettable snorkeling adventure into the fresh waters of this underground river, swimming deep inside the caverns where you will observe stunning stalactite and stalagmite formations above and below this crystal-clear water. Walk and enjoy our Ride Bike through the jungle and witness the animal prints from the species that live there, the cenotes, and the variety of flora and fauna. 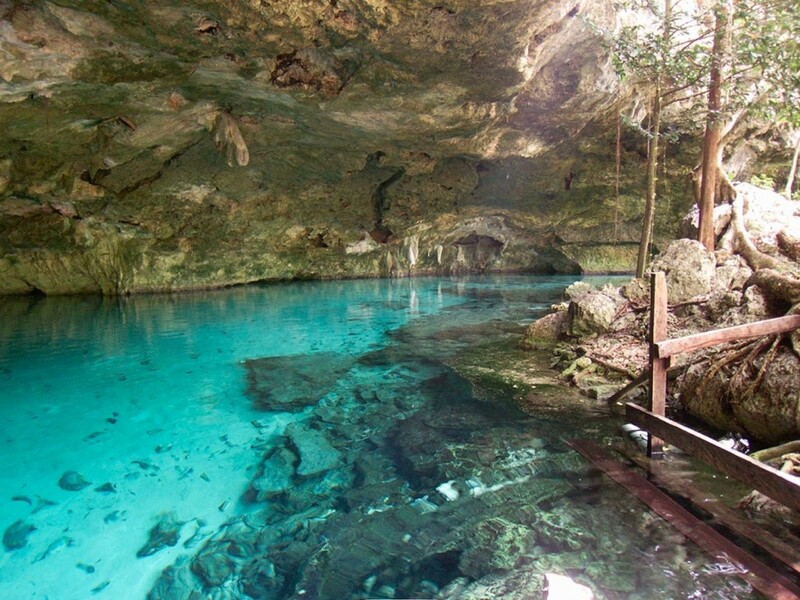 You will snorkel in Yax-muul, the most beautiful natural swimming pool on the Mexican Caribbean. A traditional Maya lunch prepared by the women of this community then awaits you at the ranch. After lunch you will have the opportunity to visit the ranch and its inhabitants, a small Maya family that have lived in this remote jungle location for the last 30 years. 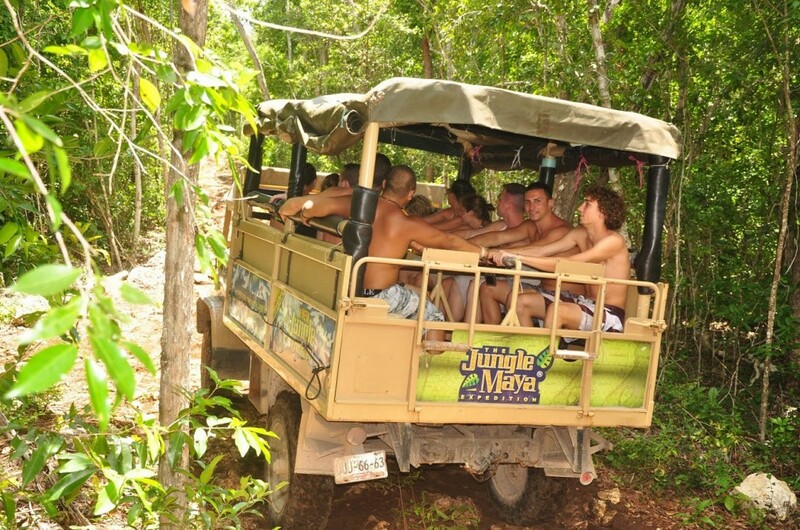 8 Adventure attractions and Activities: 4×4 adventure ride in Mercedez Benz Unimog, swimming in Yaxmuul, and snorkeling in Nohoch Nah Chichi snorkel gear included, multilingual adventure guide, Maya guides at locations, Mountain Bike Riding, Zip Line through the Jungle, rappel and zip-line gear, lunch and drinks. Comfortable footwear to walk in the jungle, swimming gear, extra T-shirt, towel, bio-degradable mosquito repellent, and extra cash (tips, photos, videos and souvenirs).